"This time I really got a whopper (a word I had to look up)!" The following images are xeroxes from Milt's original animation roughs, before they got touched up -cleaned up- by an assistant. You can see how adventurous Milt gets with dialogue, super contrasting mouth configurations. 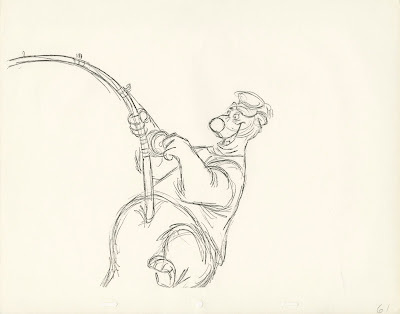 I love the way the end of the fishing rod rests on his soft belly. So much to admire here. 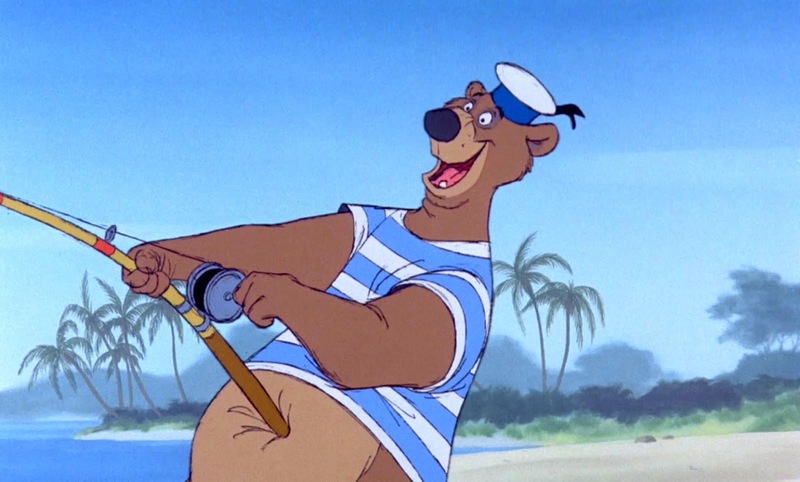 I will post the second half of the scene in a couple of days. Just realizing that the bear's striped shirt had to be figured out by Milt's assistant. 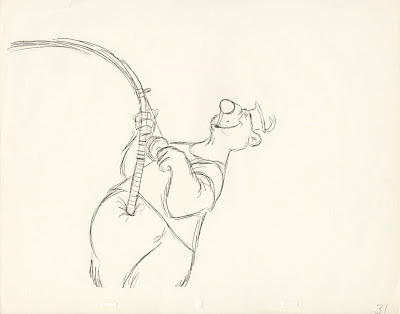 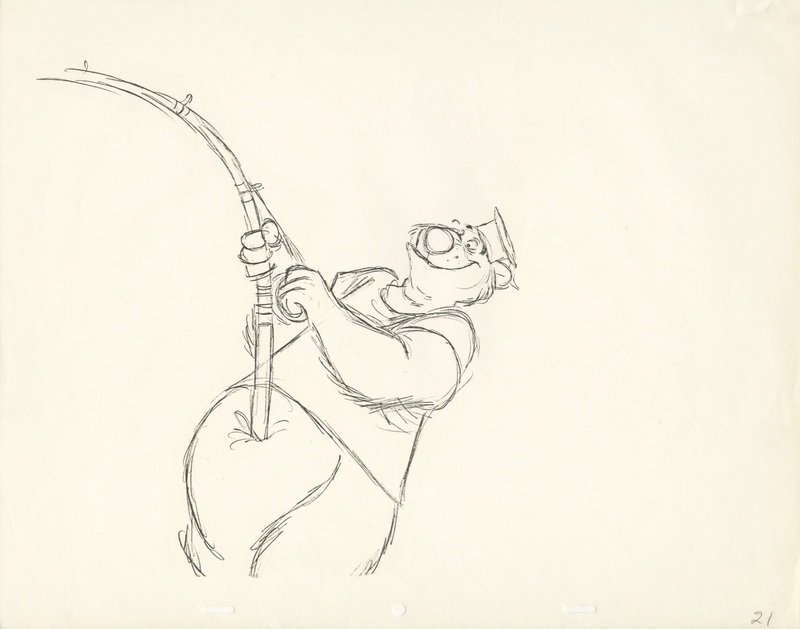 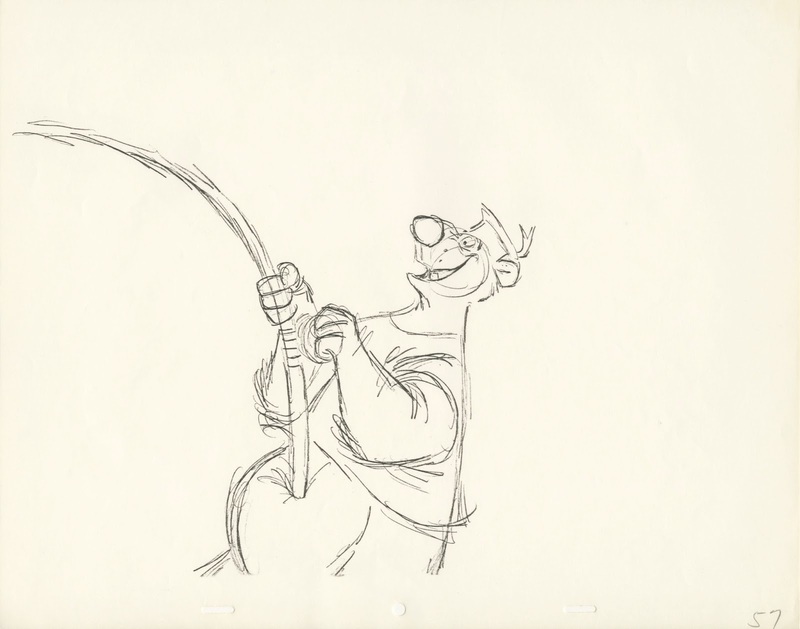 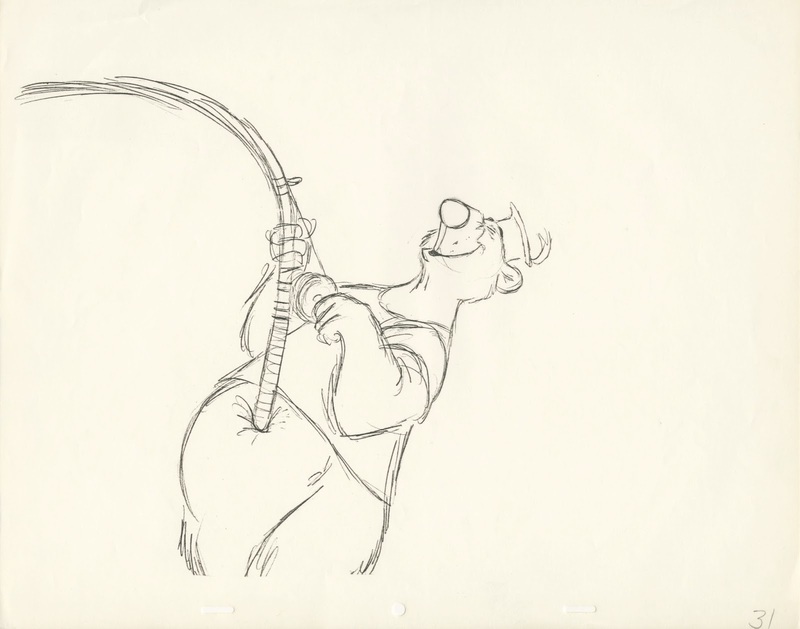 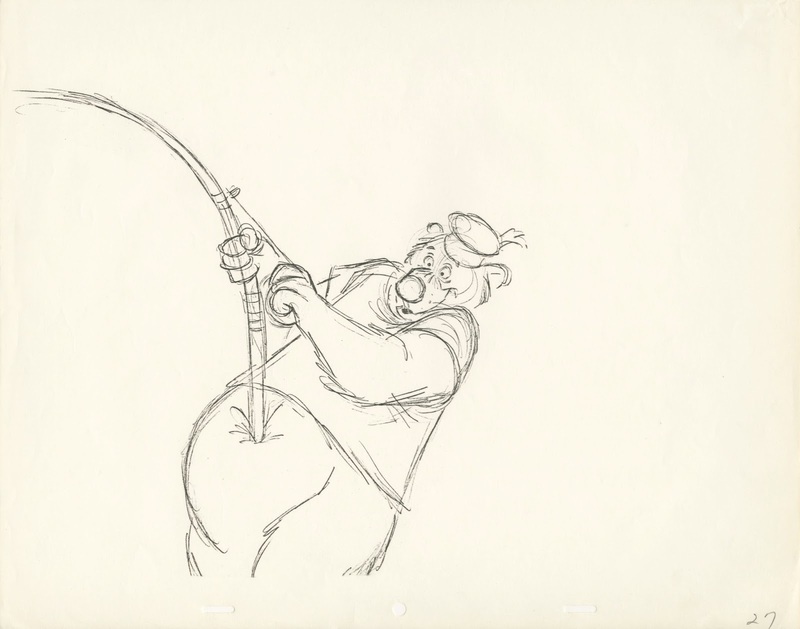 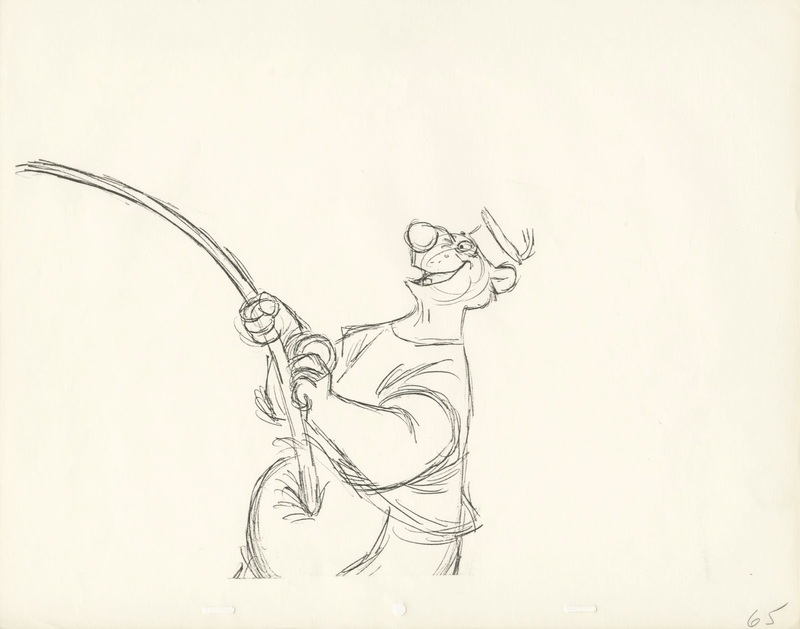 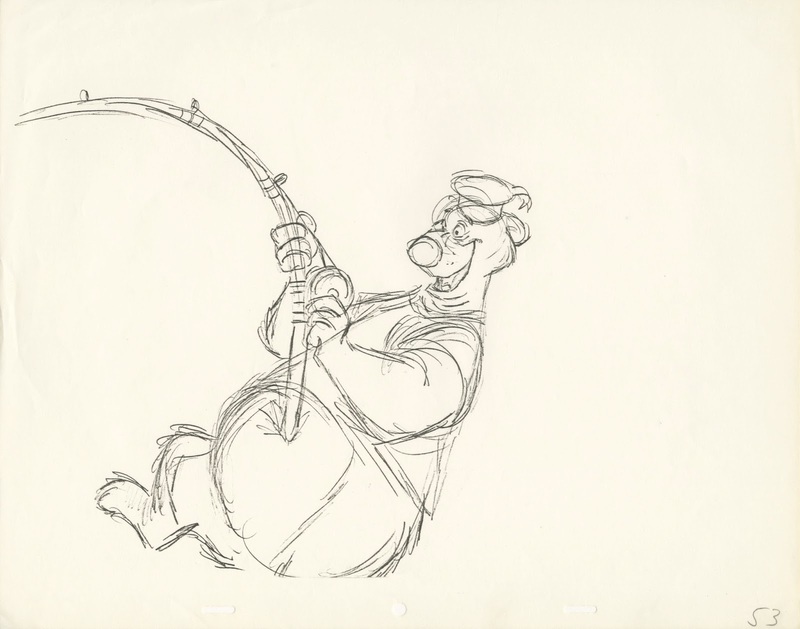 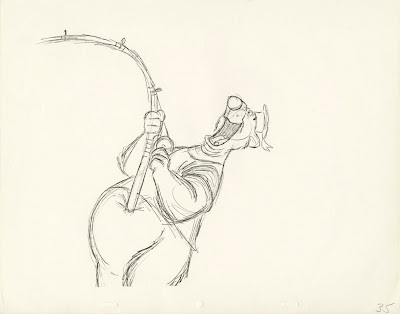 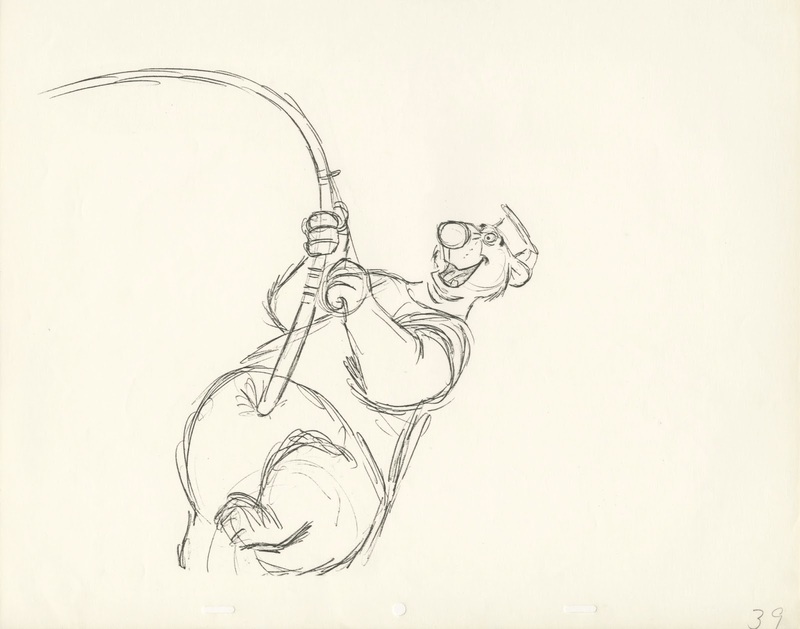 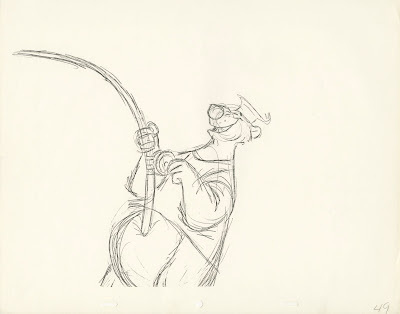 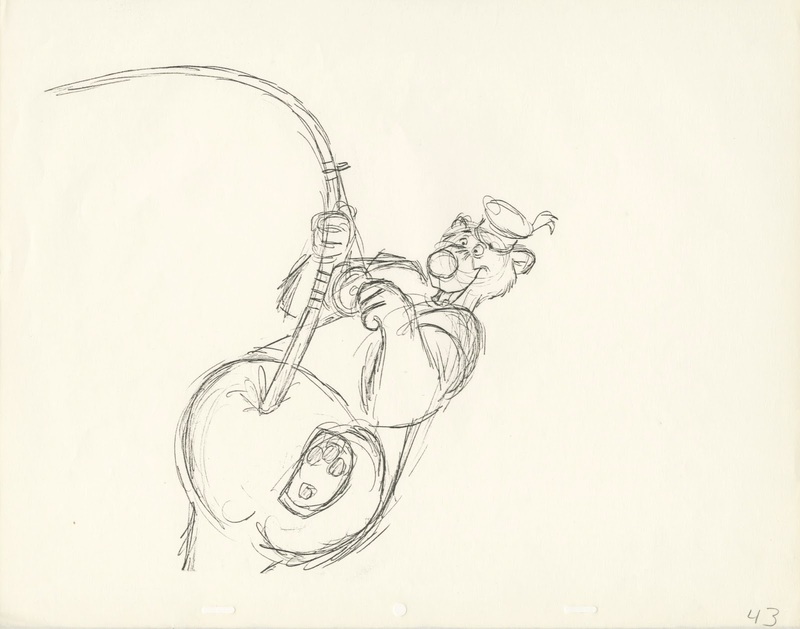 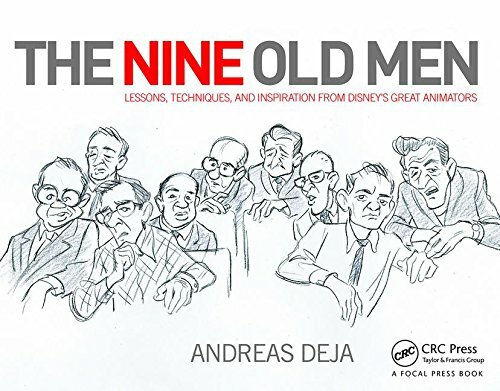 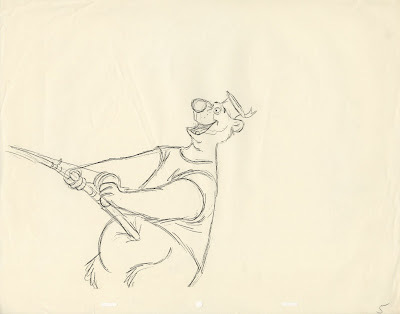 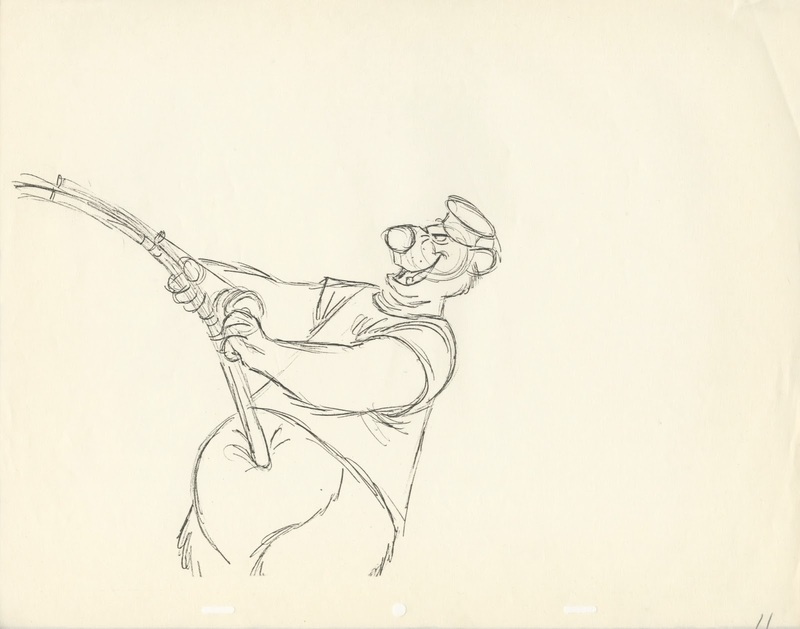 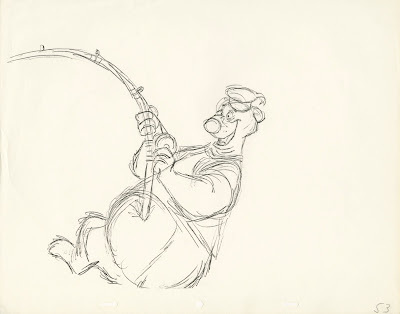 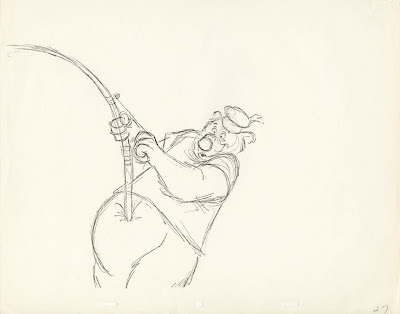 This scene was supposed to appear in the Milt Kahl chapter of my Nine Old Men book, but we ran out of room.